Adventurers participating in the Quest program gather at North Bend. Photo courtesy W.Va. Dept. of Commerce. Rangers at North Bend State Park on July 21 will helps guests learn new outdoors skills, offering introductory courses in backpacking, geocaching, and backcountry camping. The courses last anywhere from two hours to overnight, according to Steve Jones, superintendent of North Bend. The Backpacking with Backcountry Camping course starts at 10 a.m. This overnight experience is in a remote section of the park and includes an introduction on packs, gear and packing for an backcountry trip. Participants also will be able to practice carrying different loaded packs for size and comfort. Backpackers will learn about safety and preparation related to the weather and environment and prepare and eat a typical backpacking dinner and breakfast. Equipment is provided. The cost is $70 per person. The Introduction to GPS and Geocaching course starts at 2 p.m. Participants will learn the basics of using a handheld GPS unit built for trail use and will have opportunities to use them through the “hide-and-seek” game of Geocaching. Equipment is provided. The cost is $10 per person. The Introduction to Backpacking course starts at 4 p.m. This two-hour course focuses on packs, gear and packing for an outing. Participants will get to try different loaded packs for size and comfort. 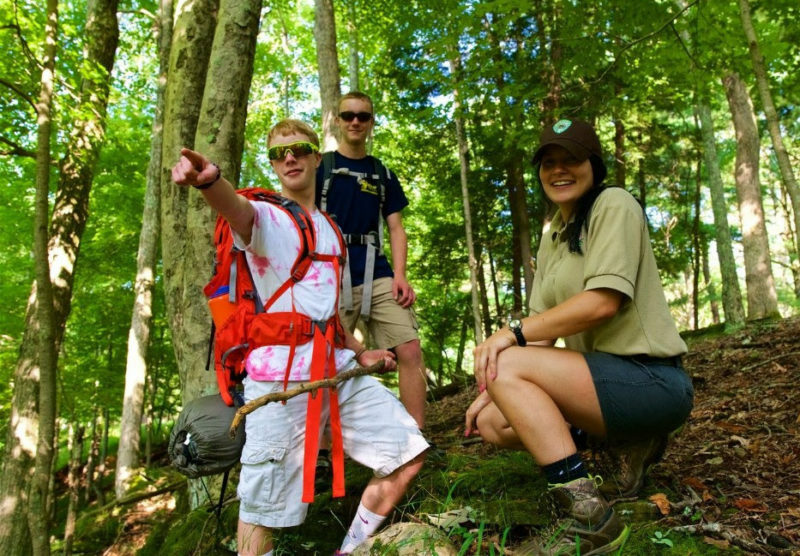 Participants will hike, enjoy nature along the trails and discuss safety and preparation. This isn’t an overnight adventure, but an excellent opportunity to decide if backpacking is something of interest for future adventures. Equipment is provided. The cost is $10 per person. North Bend State Park is located minutes off US Route 50 near Cairo, West Virginia, and Harrisville, West Virginia. The park features a lodge, cabins, campground, lake and fishing, kayak and canoe rentals, a full-service restaurant, hiking trails, and meeting spaces. Registration for the courses is required and available until July 20. To register, call the park at 304-643-2931 or sign up at the front desk. For additional information about facilities and activities, visit www.northbendsp.com.